Falen O. Cox, John W. Rodman and Christopher K. Middleton are trial lawyers who have over 20 years of collective legal and litigation experience. While working in the high volume legal environment of indigent defense, they learned valuable skills essential to all lawyers. 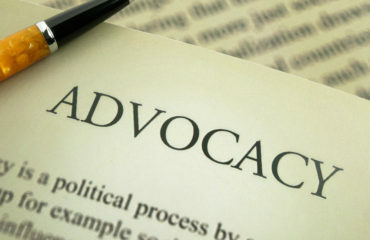 They have developed experience in case management, client communications and court room advocacy. Aside from their desire to continuously master the craft of law through practice, they share a common desire to strengthen their community at every level. This desire can be witnessed in their dedication to countless civic initiatives rooted in law, knowledge and the belief that lawyers are stewards of the community. Carrying this heavy torch of responsibility requires lawyers to be involved in various capacities and endeavors that contribute to strengthening the local community and the legal community. Cox, Rodman, & Middleton are committed to providing pro bono representation with the same standard of quality, professionalism, and zealous advocacy as commercial cases. The firm’s dedication to pro bono work is a source of pride and reflects a fundamental part of the firm’s culture and mission. Cox, Rodman & Middleton treat pro bono cases the same as commercial cases, applying the same standards of quality, professionalism and zealous advocacy. Their commitment to pro bono work has been based largely on the belief that such work is part of the basic role of lawyers as members of our profession and as officers of the court. As former public servants who have stepped beyond the bounds of government work, the firm’s partners have retained their passion for assisting those who face their greatest challenges in a daunting legal system. Based on this belief, the members of this law firm fully appreciate the gravity of their roles and responsibilities in the broader community and proudly accept the challenges of serving as a voice for the accused, the victimized and the voiceless. The role of a lawyer is to serve as a legal advocate, provide competent legal advice and act in the best interest of the client always. Lawyers are also trustees of the legal system and have responsibilities to maintain public confidence in the system and defend its integrity. These are all key characteristics possessed by each member of this law firm. As a result, individuals do not contact Cox Rodman & Middleton simply because they need a lawyer. Clients contact Cox, Rodman & Middleton because they need a team of zealous advocates who are also compassionate and empathetic, with a strong understanding of the law and legal processes. Our firm takes pride in looking beyond short-term resolutions and focusing on a more holistic approach to long-term goals by considering the full scope of our clients’ needs. Employing this legal philosophy allows the firm to find healthy and sustainable solutions to legal and non-legal challenges through partnerships with various nonprofit and for-profit organizations. In short, we provide the comprehensive and tailored client services our clients expect and deserve. 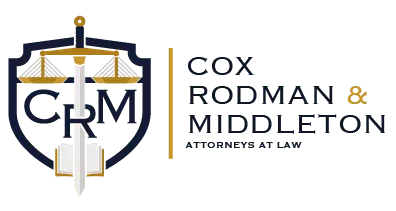 Built on a solid foundation of excellence, experience, and professionalism, Cox, Rodman & Middleton know that every day is a new set of challenges and a lawyer is only as good as proven by the next case, not the last. 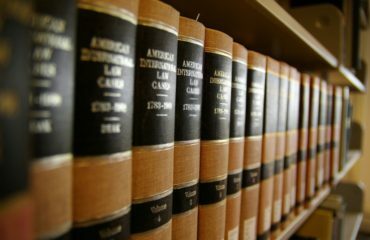 Excelling as an attorney means learning and improving every day and treating each client and each case as the unique set of circumstances that each one represents. The practice of law is not a nine-to-five job; it is a 24/7 lifestyle. There is no room in the legal profession for the assembly line treatment of cases or the cookie-cutter handling of clients, which is why our lawyers fully embrace the fact that every client is fighting a different battle and every case provides new challenges. As such, our firm provides each client with high-quality legal advice and representation in a timely and efficient manner. Our firm’s mission is to provide trustworthy, reliable, and comprehensive legal expertise. Our firm’s reputation lives and dies by our dedication to these ideals. 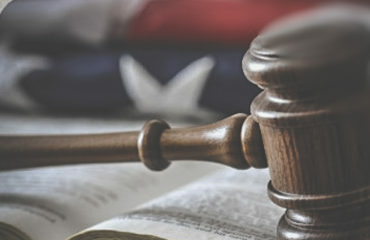 The primary focus of the practice of law is to represent the best interest of the client and protect the principles outlined within the United States Constitution. This objective is applied to client legal matters in the courtroom as well as in society. The overall goal is to not only be great advocates but also great advisors to help formulate a plan of action for the client through community partnerships and goal setting. We do not merely seek to stand beside you in the court room, we seek to walk with you through each challenge and support each accomplishment. Thus, the practice of law encompasses far more than the business of running a law firm and meeting the demands of overhead. It demands more than that a lawyer competently represent clients, draw up necessary papers or negotiate a favorable outcome. The practice of law, done right, demands that we serve as responsible professionals, reputable role-models and mentors, dedicated volunteers and beneficent neighbors with an interest in tirelessly improving our families, communities, systems and processes. The title of professional requires that in daily practice, an attorney strive to transcend the demands of the moment to consider the greater good. Lawyers are not simply hired speakers for their clients – they are officers of the court, stewards of the proper spirit of the law and leaders of community efforts. That designation reminds us that a lawyer’s obligations flow not only to the client but to the courts and to the system of justice of which they are an integral part. We are passionately devoted to maximizing every client’s chances at the best potential outcome in every civil and criminal matter. We have the knowledge and the experience to provide expert advice and analysis at every step of the process as we craft the most effective strategy to address issues across the wide spectrum of possibilities. We guarantee maximum effort through legal research, factual investigation, strategic planning, communication and preparation to best serve our clients as their listening ear and capable mouthpiece in every venue.